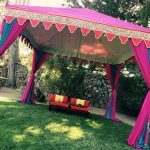 If you are planning an outdoor wedding, it is critical that you start researching Indian wedding tents as well. Why? Everything about your wedding day might be planned and under your control. But one thing that cannot be under anyone’s control is the weather, especially in India. You don’t want an Indian summer rain shower to ruin your special day, months of planning and years of saving for the wedding. 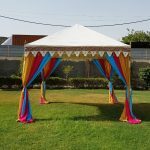 Indian wedding tents offer that shelter from unexpected weather conditions. But that’s not all. 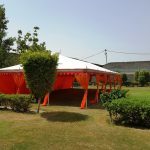 An Indian wedding tent will set boundary for the wedding event. It will enclose the guests in a part-ready, imitate luxury looking space. 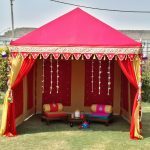 Additionally, the luxury wedding tent offered by us for sale in India will offer a range of beautiful, glamorous setting suitable for an Indian wedding. 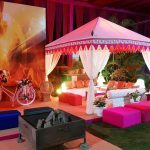 We provide the best Indian wedding tents that will give your guests a feel of luxury and delight. 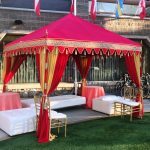 We use high-quality wedding tent structures to build the luxury wedding tents. 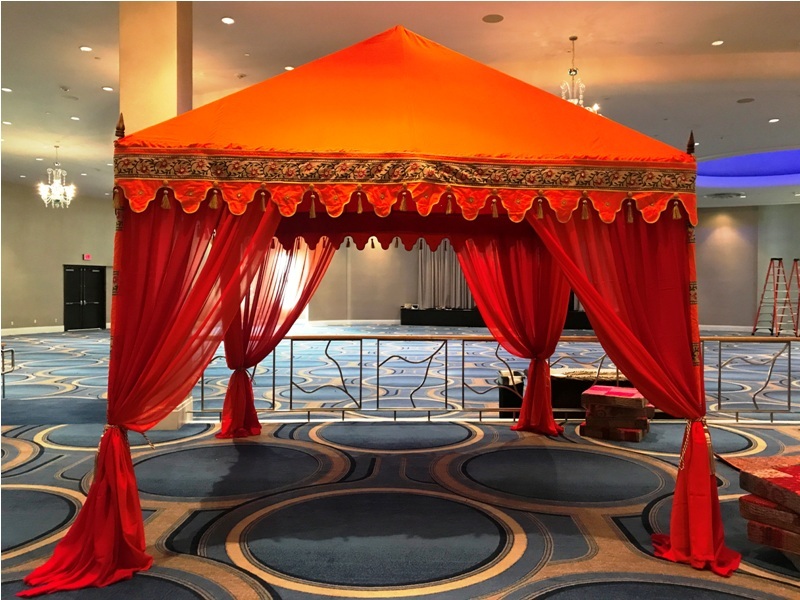 With our Indian wedding tents, you can be rest assured of a truly elegant and stylish space for your wedding day. We offer tent layouts that will surely thrill your wedding guests. 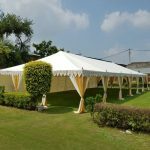 Entice your gusts with tent complex instead of going for just single structure for the wedding. 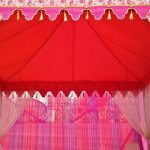 We only use the highest quality tent material to manufacture the luxury tents that we offer in India. 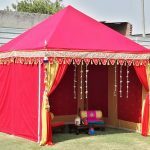 • Type of tent: There are two types of luxury tents for wedding in India – frame tents and pole tents. 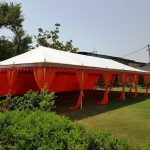 Frame tents can stand freely, without using poles, on concrete, grass, decks etc. They can be more expensive pertaining to the labor required. Pole tents or tension tents are more elegant with higher peak and dips. 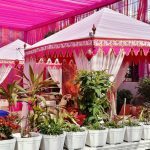 It can give a classic look to your luxury wedding in India. • No. of guests: Next, you need to determine the number of guests you expect to be at your wedding event. 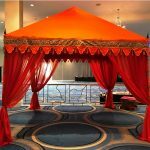 • Events: Now, you need to decide what events you will have – cocktail party, ceremony, reception, etc. 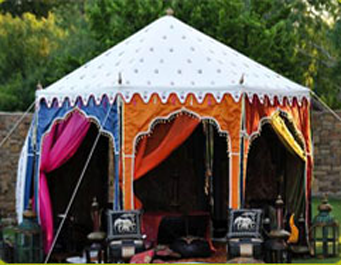 – so that necessary arrangement can be made and determine the size of the luxury tent that will be needed.